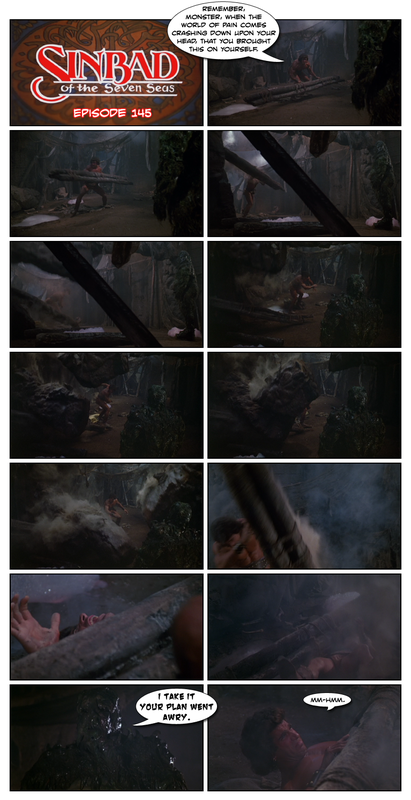 Date: Mon, 7/2/2018, 13:10:40 This isn't what happens in the movie, but the images were pretty easy to rearrange so it looks like it was. But what happens in the movie isn't much better! Sinbad rather recklessly causes a cave-in and winds up being far more inconvenienced by it than the actual monster is, who is left untouched!